It’s been while since my last post in here. There some change for my self too and if you guys notice, in my last few posts in here is about EXO and Wu Yifan, did I switch fandom? No, I’m not, I’m still Boice. 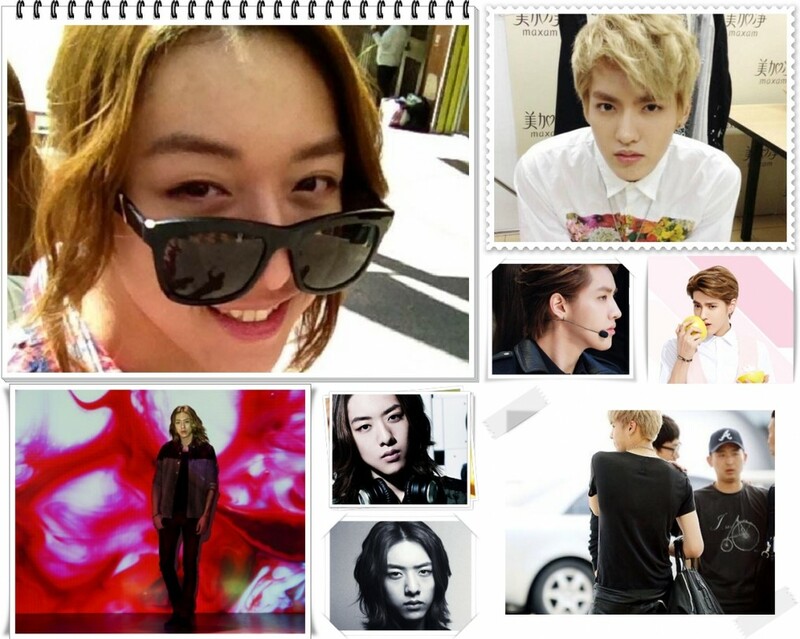 It just that, CNBLUE’s music recently changes their direction which was nae style aniya if Kris said. Then is EXO my style? Not either, just new things to distract me. The frequent questions to me recently are, why I keep on complaining about CNBLUE — be it music, appearance, drama or crazy schedules (well for schedules I complaining for EXO too — especially M) — but shut my mouth about EXO? CNBLUE and EXO are different. That’s all. Then what about Mayday, L~arc~an ciel? L~arc~an ciel is visual kei band and even if Mayday is not either, but from the start they have that style which is hard to justice. Meanwhile, CNBLUE is not in between. Their Japanese style was cool before but recently is not my style, sorry. And speaking of CNBLUE, maybe there question why I didn’t say much about Go Your Way and Wave. Yes, as expected, the only two songs I fancy about, Control and Paradise and if you listen to them you will know why I like those songs. I won’t say much ‘cause there nothing new to say. I’m still waiting for Yonghwa and Jonghyun to back on their track and giving me wonderful excitement just like they did for Come On single. Up until now I still remember how excited I was when the teaser was out and even stay up till morning just to wait for the PV released. Oh and my promised I made is still on. If CNBLUE release a full-length album and 75% song go with Come On and Get Away’s style, I’ll buy the entire versions and go to their tour, all tour. I don’t know if they do that in the future though. Actually my most problem with CNBLUE is not with their music, but more, I don’t like they being follower, I like them as trendsetter. Just like they did before as new leader of new Korean music, unlike what they did recently. If you ask me what band that never fails me, my answer is only one. LINKIN PARK!!! From the beginning until now, all they do to create new trend without losing their original sound as LP even though every member have side project. Can CNBLUE follow or even to better than them? There lot of things to talk about him but I prefer to talk about what happen yesterday when I almost shrieking upon seeing the picture on Instagram. At that time, there no confirmation it was Fanfan or not but, BUT not me if I can’t recognize him from the back, I know it was him then Kevin confirmed it. It was like heaven for me. It was simple, but meaningful. I almost can imagine what kind of music they’re working on right now. If you ask whether their music is my style, my answer is still no, but why I keep rooting to them? Simple, the same reason with CNBLUE why I like their Japanese song more than Korean. Although I can’t deny their Korean songs were cool, perfect in many ways, but sorry. I’m not. But for me, being musician it means you work on your own music with all you heart and might, that is why self composed song is very demanding to me. For me, I better listen to underrated song but self-composed rather than high rated and popular but it was another composer’s work. Ever since I listen to lullaby, I keep hoping that one day, Fanfan will have their own music and collaborate with Kevin (which is now happening). I don’t know if they will collaborate in a song or just being producer, but either way, they will produce a music that help Fanfan out of his box he’s been inside for 9 years. High hope for their work!!! Hello Meigeni Indonesia dan Meigeni International. 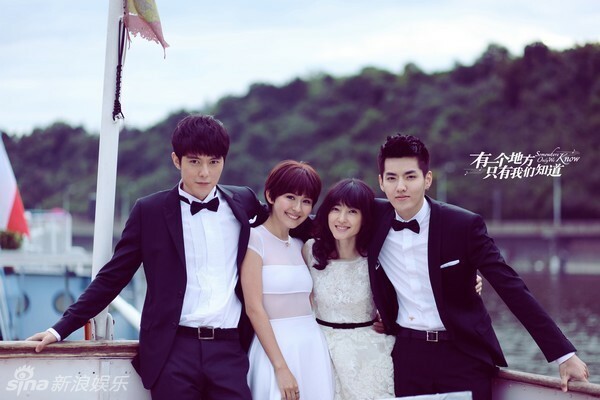 Mengantisipasi penayangan perdana film pertama Wu Yifan, Somewhere Only We Know, kami, ingin mengajak Meigeni Indonesia untuk berpartisipasi dalam sebuah survey yang kita adakan. Seperti yang kita tahu, Somewhere Only We Know akan tayang perdana Valentine tahun depan dan untuk sementara yang pasti HANYA AKAN TAYANG DI CHINA. Kami selaku Meigeni tentu ingin ikut serta mendukung dan meramaikan penayangan film tersebut. Hanya saja tak mungkin kita semua pergi ke China untuk nonton film kan? Nah, disini kami mengadakan survey untuk meminta pihak produser untuk menayangkan Somewhere Only We Know di bioskop di Indonesia. Disamping itu untuk semua voters, mohon menulis comments di comments box, panjang comments tak lebih dari 100 kata. Kami tunggu vote dan comments kalian sampai tanggal 15 October. Kami akan mengirimkan comments kalian ke pihak produser. The new Chinese romantic film called “Somewhere Only We Know” with a famous Chinese star Xu Jing Lei and popular singer Wu Yifan (called Kris) was shoot above all in Prague′s Old Town and beautiful Lesser Quarter. Few parts were shoot as well at our hotel, in the Prague Castle View Room. I think this is nothing but maybe also something. It maybe quite late as well, but I think it better than nothing. It’s been week and my little brothers and sisters there, in Gaza were still suffering. Sometimes I think they were proud to be chosen one and born in Palestine, carrying boulder to protect and guard the land Allah had promised to Muslim but when it comes to humanity, it was not very good sight to see children suffering with trauma and physical pain. They’re just innocent kids who deserved to be happy. According to UNICEF Palestine there 73 children killed and 367 injured in Gaza. It was very heart breaking to see those children suffering but nothing I can do but praying. Be strong my brothers and sisters, heaven is await for you so keep on smile and belief that Allah is never forget his promised. Let’s wait for the peace comes to the kingdom of heaven eventually.